Two of our dynamic hexapods are shown in this program! 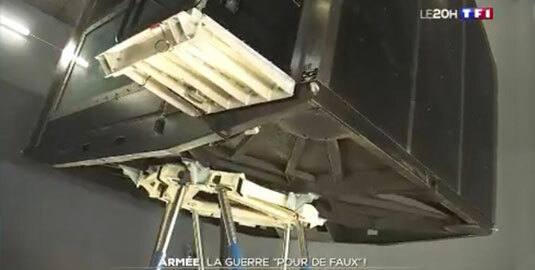 The first hexapod is a ship deck simulation platform installed inside a large dome equipped with projectors, which is located at the Toulon naval base. This equipment allows the naval action force to train using different scenarios that take place in oceans and seas all around the world. The second one is a submarine simulator derived from our standard SIROCCO hexapod. It moves the control cabin of the submarine in order to teach the crew how to react in extreme conditions and emergencies (±40° rotation in Rx and Ry). The replay was 7 days only, we cannot watch the report anymore.